Frederick Delius wrote music that is ephemeral, elusive, and sensuous, and although he is sometimes called an "English Impressionist," his is music which reflects the composer's emotional reactions. Delius owed most of his popularity to Sir Thomas Beecham, the British conductor who became his champion, and who insisted on performing Delius' music in concerts and recordings. His primary musical influences were Grieg and Wagner; in his biography of Delius Beecham speaks also of "the influence of the scenic grandeur of the Scandinavian peninsula … his own secret affinity with high and lonely places." Since Beecham's death Delius has not had a similar advocate. 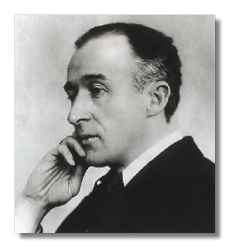 Frederick Delius was born in Bradford, England in 1862, to German parents. Julius Delius, a successful wool merchant who had moved from Bielfeld to Bradford with his wife Elise, named his fourth child (of fourteen) Fritz Theodore Albert. Fritz Delius, who loved to explore the nearby Yorkshire moors, grew up in a musical home and later wrote that "my father loved music intensely and used to tinker on the piano when he knew he was alone. He was a great concertgoer and he often had chamber music in his house." Julius sent his son to business school to prepare to join the family wool business while also providing violin lessons. Fritz showed a marked preference for music but he and a friend persuaded the elder Delius to give them financial backing for a Florida orange grove. The two young men settled at Solano Grove near Jacksonville, where Delius met organist Thomas F. Ward with whom he studied music while absorbing the songs of the local black population. Years later he wrote that he was "demoralized when I left Bradford for Florida … In Florida, through sitting and gazing at Nature, I gradually learnt the way in which I should eventually find myself …"
The orange grove was not a success so in 1884 Delius abandoned the plantation and, after earning a meagre living in America teaching music and singing, he entered the Leipzig Conservatory in 1886. He resumed violin lessons and at this time began composing seriously. The Florida Suite, written in 1888, recalls the music Delius heard in Florida. Around this same time he met Grieg, who became a lifelong friend and exerted a powerful influence on the younger composer. In 1888 Delius moved to Paris; after a time he settled in his future wife's home at Grez-sur-Loing near Fontainbleau. He lived in France, with wartime interruptions, for the remainder of his life. In 1903 Frederick Delius and painter Jelka Rosen were married; by this time his music had achieved modest popularity in England and Germany.